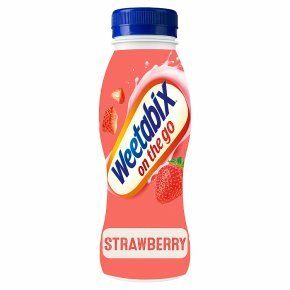 Strawberry flavoured breakfast milk drink with added vitamins and iron (UHT). Energy Fibre Protein* * Based on a typical Weetabix breakfast cereal with semi-skimmed milk. Calculated November 2016.